The EUR/USD currency pair is moving inside a corrective wave; the market was able to form a consolidation pattern near the level of 1.3200. According to this structure, a local target is at the level of 1.3115. I think today the price may reach this level, grow up towards the level of 1.3200 to test it from below, and then start a new descending movement to reach the main target of the correction. The minimal target is at the level of 1.3100. 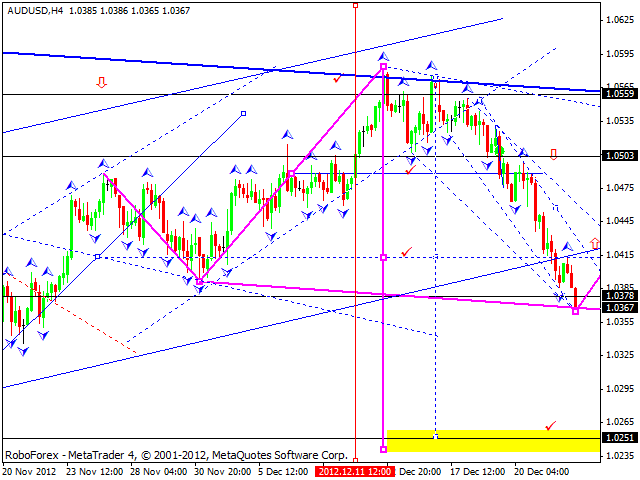 The GBP/USD currency pair reached all predicted targets of the correction, which were defined earlier. 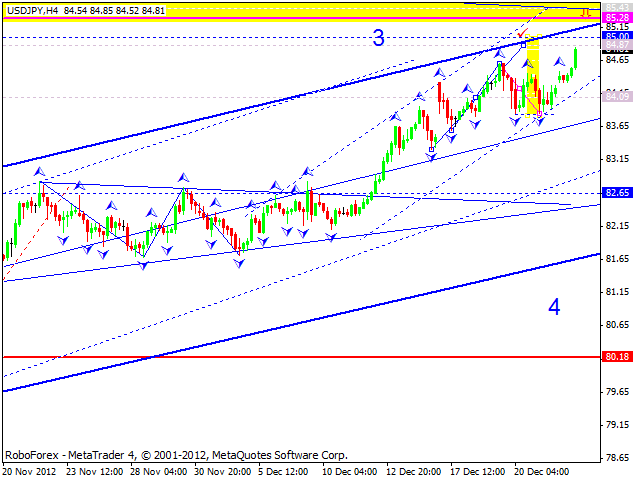 Such market behavior implies that the price may continue moving downwards to reach the level of 1.6155. 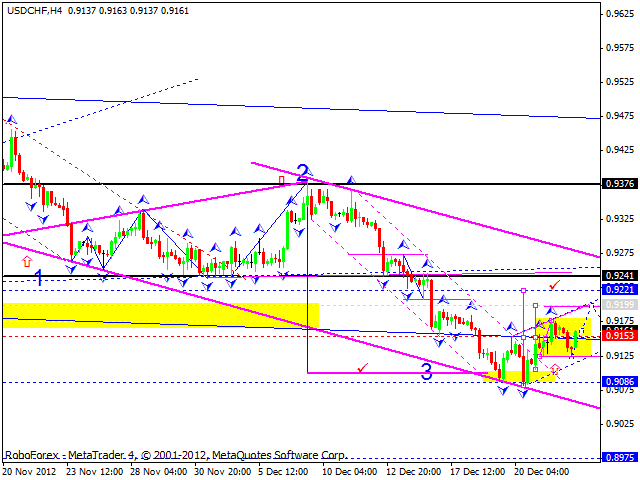 However, if the pair tests the level of 1.6200, the price may fall down and reach the target at 1.6090. The USD/CHF currency pair continues a corrective movement; the price is forming a consolidation channel near the level of 0.9150. A local target of such structure is at 0.9200, the pair may reach it during the day. Later, in my opinion, the price may return to the level of 0.9150 to test it from above and then start a new ascending movement to reach the target at 0.9220. The USD/JPY currency pair continues reaching new tops. As I said earlier, this wave became weak and the market may start a new correction towards the level of 80 at any time. We may expect the price to form a pivot point at the current levels and then a new corrective movement. It looks like the first ascending wave of this correction exhausted; every support level to continue an ascending movement was broken. The market broke the channel of the previous ascending wave and continued moving downwards. 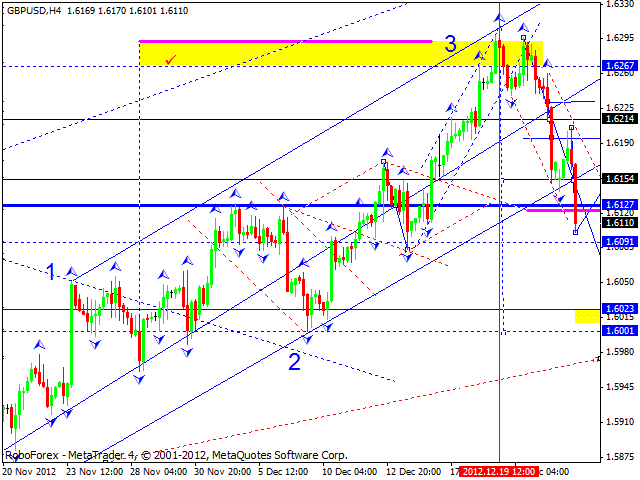 A predicted target is at 1.0255. 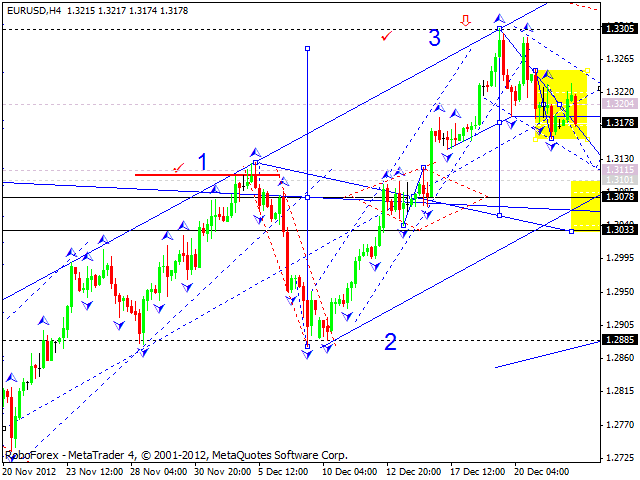 There is a possibility that before reaching this target, the market may return to the level of 1.0500. 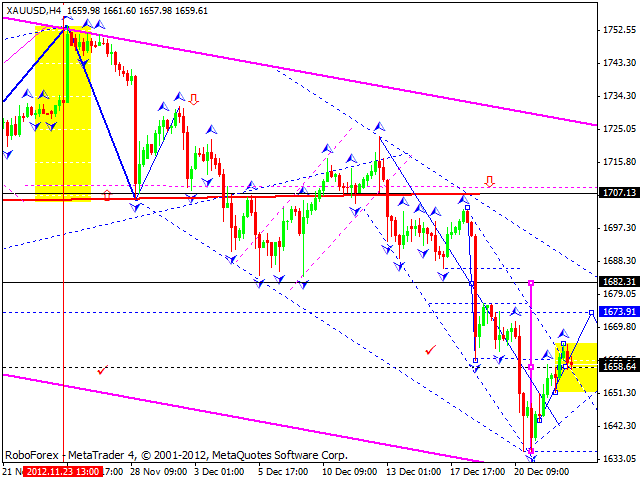 Gold continues forming an ascending corrective wave; the price is consolidating near the level of 1658. In my opinion, today the market may continue growing up towards the target at 1674, move downwards to test the level of 1658 from above, and then start a new ascending movement to reach the target at 1682. This may be the end of the first wave of this correction.